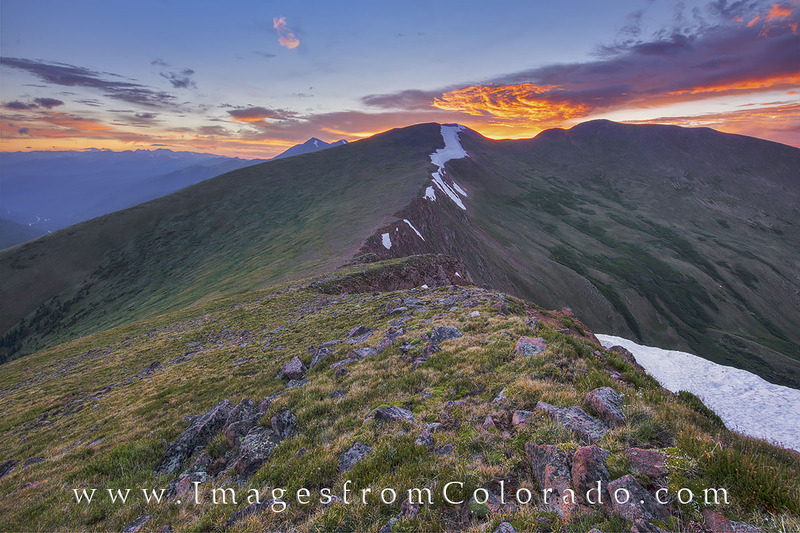 From the top of Colorado Mines Peak, this Grand County Colorado sunrise image looks across to Mount Flora (13,146'). The Continental Divide Trail follows this ridge across the saddle and back up 1000 vertical feet to the summit of Mt. Flora. On this morning, winds were howling and it was all I could do to brace my tripod as the skies lit up above me. From Berthoud Pass, this is a nice hike with some good uphill to feel like you earned your keep. Photo © copyright by Rob Greebon.